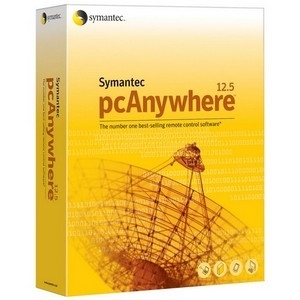 Symantec has confirmed that hackers accessed their source code and advised users to disable their pcAnywhere product until necessary security patches are issued. Earlier this month, Symantec confirmed that hackers stole the source code for the 2006 versions of Norton Antivirus Corporate Edition, Norton Internet Security, Norton SystemWorks and pcAnywhere. Because the code is relatively old, Symantec claims there was little or no risk of cyberattack, except with pcAnywhere, which as been updated less frequently than their other security software. "At this time, Symantec recommends disabling the product until we release a final set of software updates that resolve currently known vulnerability risks," Symantec said in a statement. "For customers that require pcAnywhere for business critical purposes, it is recommended that customers understand the current risks, ensure pcAnywhere 12.5 is installed, apply all relevant patches as they are released, and follow general security best practices," the company said. You can get updates on patches and read the full advisory on Symantec’s website.